SDSU Basketball: USC attempting to steal Tony Bland. Tony Bland has officially signed with USC. Sources say the deal is worth around $300k. This is the previous article on the Tony Bland Saga. Now Coach Tony Bland is a major part of the recruiting pipe line that has made San Diego State successful over the past couple of years. For those who know a lot about high school basketball recruiting you would know that Coach Bland has a major recruiting base in LA. This is one of the many reasons that Coach Tony Bland has become one of the best young coaches on the west coast. He is at that age where he can talk to both recruits and players as a peer. He knows how to communicate better with the recruits and players than the older coaches. From reading all of the articles that have been posted Tony Bland was offered around $150,000 to stay at San Diego State as the recruiting coach and most likely start moving up the coaching latter. 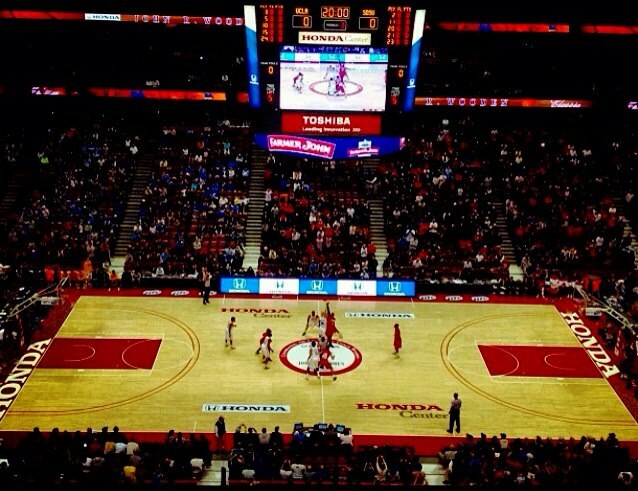 Coach Bland had been asked by UCLA to interview with them and he declined. Right now Tony Bland has a big decision to make that will impact his career for many years to come. He must think about how to move up the coaching ladder at San Diego State when Coach Steve Fisher has about three to five years of coaching left. 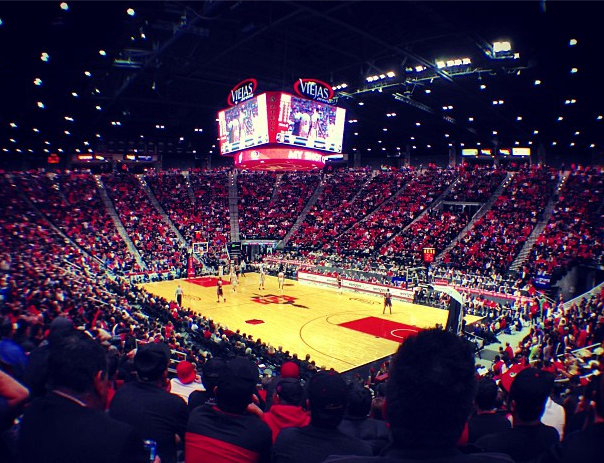 San Diego State then has the coach in waiting Brian Dutcher! Tony Bland is a great coach and will move up the ladder if he stays at San Diego State but it will take some time. On the other hand Coach Bland could get anywhere from $250,000 to $350,000 and be the assistant coach. That is a very hard opportunity to turn down. 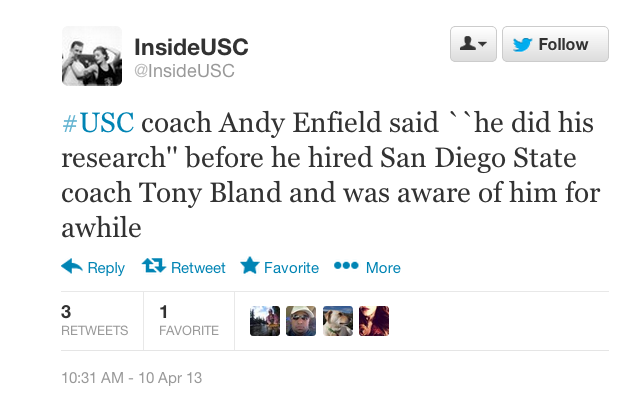 While driving home yesterday from San Diego State I listened to an interview by Scott and BR from the Mighty 1090 (San Diego radio station 1090-AM) and they chatted with new USC head coach Andy Enfield on why he wanted to hire San Diego State assistant coach Tony Bland? This is a small part of the interview. Four-star small forward Isaiah Baliey. Coach Bland will be an Aztec For Life no matter what team he end’s up on! We hope this article helps you make sence of what is going on in the Tony Bland Saga.